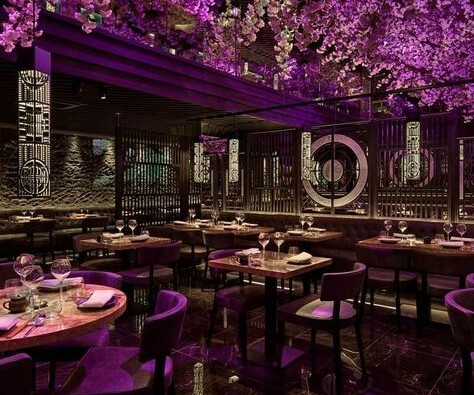 The new restaurant Tattu on Barwick Street serving high-end Chinese food has been highly anticipated – even more so now you can get 50% off by just signing up to a mailing list. Bookings open on the 19th of January for what is being called Birmingham’s hottest new bar, in the former basement of The Grand Hotel – and the transformation is spectacular. Images on their website show decadent Chinese décor that reverberates atmosphere and romance. The Birmingham restaurant will cover two floors named Yin and Yang, and will also have outside seating space. The Yin floor will have classical Chinese décor with stereo-typically feminine details highlighted by dark backgrounds whereas the Yang floor will be more stereo-typically masculine with more industrial materials such as polished brass to create a glowing atmosphere like a bonfire at night. The family-run business which began in Manchester was never intended to get so big, but has grown due to an ‘overwhelming response from customers’. The expansion into Birmingham and their other new restaurant in Edinburgh will create 176 new jobs, boosting our economy and creating another pocket of bustling atmosphere in our incredible city. Tattu champions the beauty of diversity and culture that Birmingham celebrates, and we can’t wait for it to open. The menu changes seasonally using the highest quality fresh ingredients and bookings are already flying in. Prices on main courses are between £14 and £70 with sharing plates starting at £7 and their mouth-watering desserts from £5. It’s not just the extraordinary flavours and presentation of the food that’s attracting attention, however, with 23 high-quality cocktails to chose from, ranging from £9-£14 and incorporating flavours you won’t find in every bar in Birmingham such as lychee and cherry blossom. If you want to keep the magic of Christmas going into the New Year or take a special someone out for the ultimate romantic Valentines meal, then it’d be hard to do better than Tattu. Its atmosphere embodies decadence, aesthetic beauty and hedonistic romance. Spot the building by its stunning temporary blossom exterior in Barwick Street behind Colmore Row symbolising good luck – and we certainly wish this restaurant the best success in Birmingham.